After serving four military tours as a bomb squad leader and surviving an IED explosion, veteran Sgt. Michael Williams discovered solace in an unexpected place: woodworking. 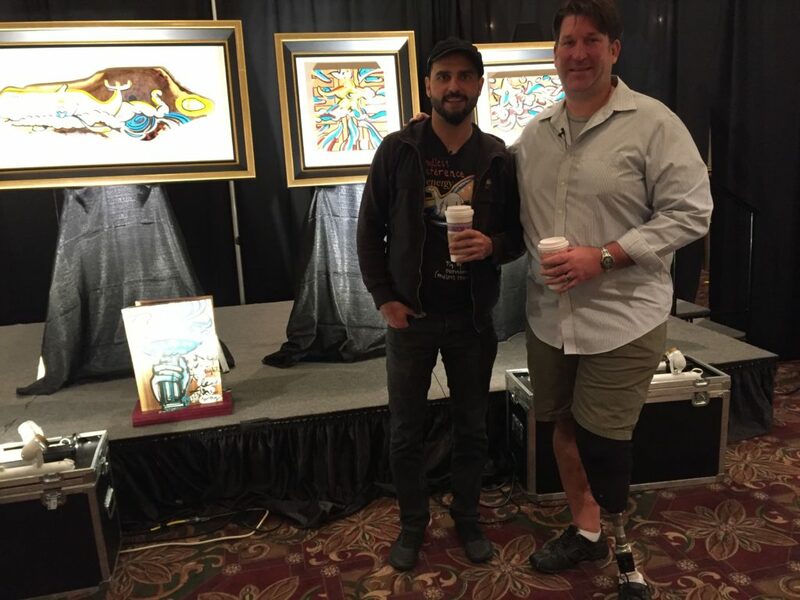 The retired veteran never expected to make a career out of his hobby until he met Park West Gallery artist David “Lebo” Le Batard. Lebo and Purple Heart recipient Michael Williams with collaborative artwork. In the artist’s new collaborative collection, Lebo uses wooden planks handmade by Williams as the canvas for his creations. The colorful panels are made from purpleheart wood—the perfect cornerstone for Williams’ business, Purpleheart Art. 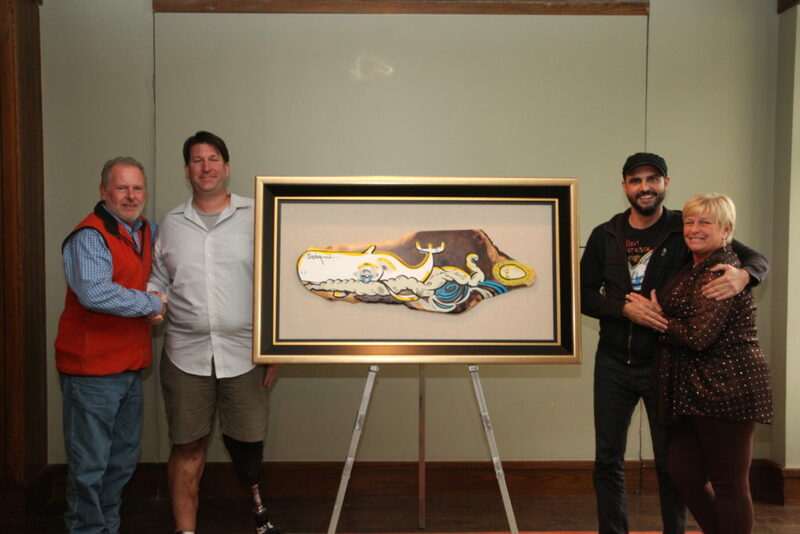 Collaborative artwork from Lebo and veteran Michael Williams at VIP event in Asheville, NC. 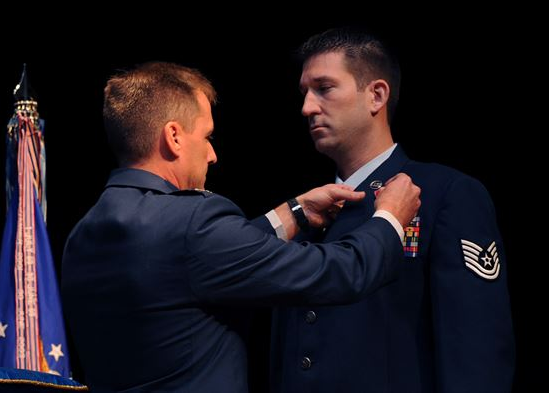 The decorated veteran began his service in 1993 when he was accepted into the United States Air Force. He served in Bosnia, Iraq and Afghanistan. During his time in the Air Force, Williams discovered a passion for Explosive Ordinance Disposal and eventually became an EOD Team Leader. “You have to enjoy it. It’s not something that someone can just go do, you have to have a desire for it,” Williams said. During his second tour in Afghanistan, Williams suffered a traumatic injury when he stepped on an IED while disarming another explosive device. The blast took off Williams’ left leg and left him with other serious injuries. Veteran Michael Williams receives his Purple Heart after losing his leg in an IED explosion. As he recovered from the explosion, Williams faced the challenge of learning to walk again. At the time, his son was eight-months-old. Williams promised himself he would learn to walk before his infant son. The Purple Heart recipient came home in 2011 from his nearly 20 years of military service. After retiring from the Air Force, Williams studied as a computer programmer but held onto his enthusiasm for woodworking. Williams’ neighbor and Park West auctioneer Rob Ducat knew his friends’ passion for craftsmanship and introduced the veteran to Lebo. 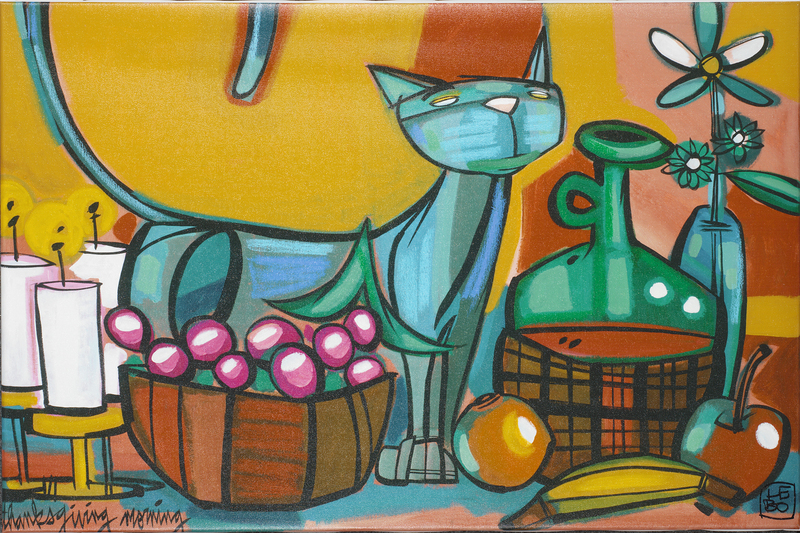 Lebo is known for weaving deeper meanings and hidden symbolism in his colorful cartoons. Using Williams’ wooden boards, Lebo creates a unique artistic experience through the textures and patterns of the paint on the wood. As an artist who frequently explores different mediums, Lebo embraced the charge of creating art with Williams’ colorful woodwork. “My challenge with Michael’s pieces isn’t just to paint over what he’s doing. I want to incorporate what I do into what he does. So, it’s really weaving those two things together,” the artist says. 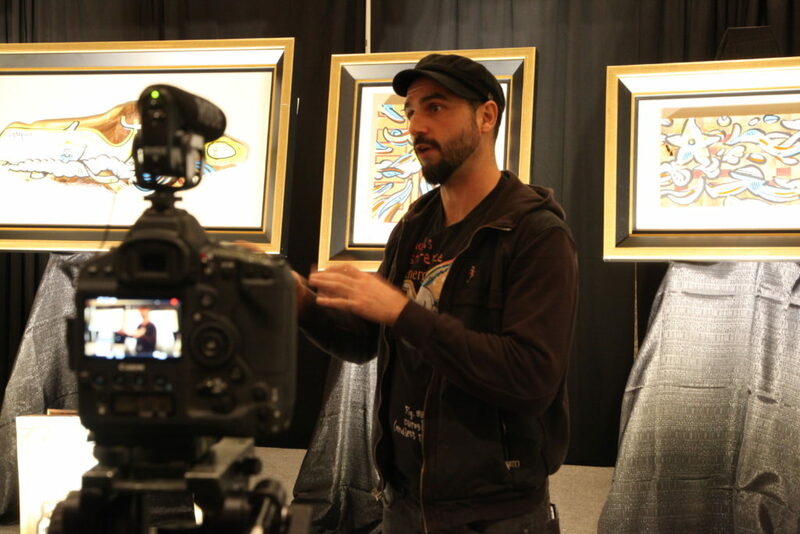 Lebo speaks with Park West Gallery at a VIP event in Asheville, NC. 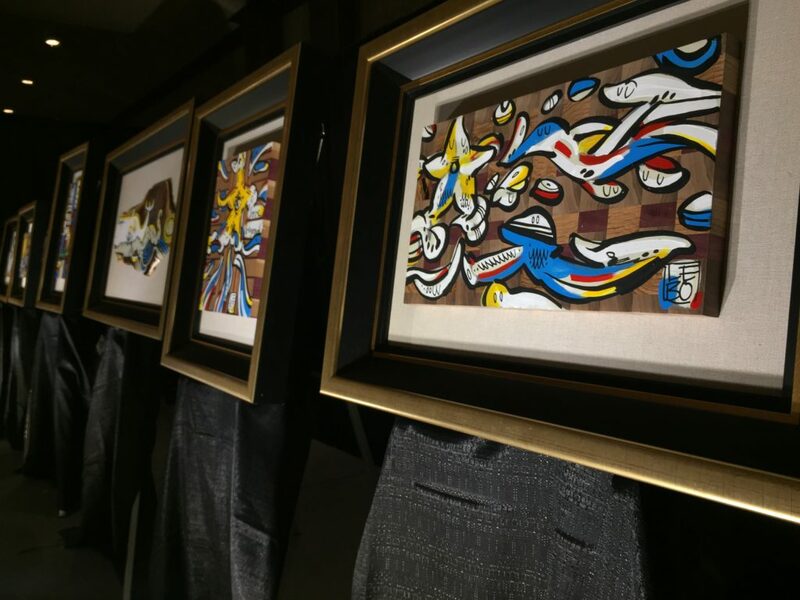 Through Williams and Lebo’s creative efforts, the new collection of wood-plank paintings creates an unmatched partnership of the organic and the imaginative. Lebo’s colorful creations come to life on Williams’ signature purpleheart wood. While the finished product speaks for itself, Lebo finds fulfillment in pushing his artwork beyond the canvas. Park West VIP members with new artwork from Lebo and Michael Williams. The partnership offers collectors the unique opportunity to contribute to something bigger than hanging beautiful artwork on the wall. 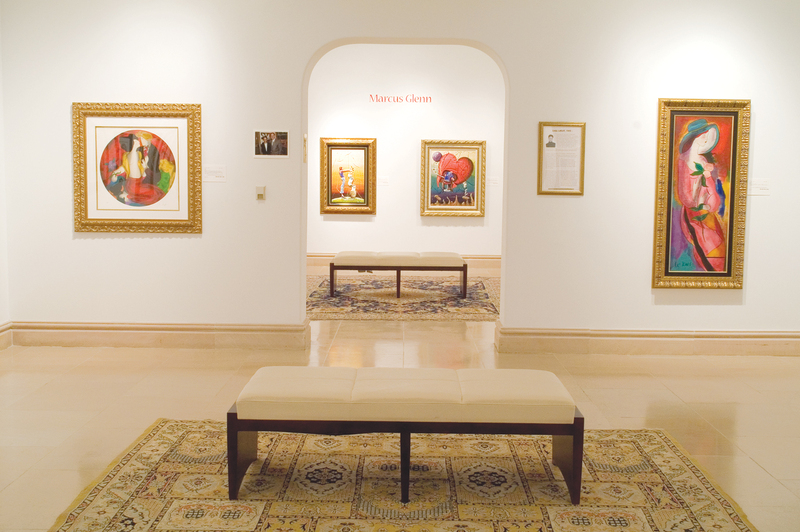 To inquire about artwork from Lebo and Williams, you can contact Park West Gallery’s Gallery Consultants.